The internet has enabled many gamers to enjoy playing their favorite casino games online instead of physically going to casinos. Casino owners contract casino software providers to create online games their clients can enjoy. However, online games lack the experience that comes with playing in brick and mortar casinos. Unless the online game is a live game, there are no dealers or live chats; it’s just the player versus the game software. Online casinos came up with live gambling to help punters have the same experience they have offline. Unlike other online games, live games have a dealer, chat features and allow players to watch an ongoing game. Some of the major players who have made the live gaming scene a success are Evolution Gaming, Microgaming, and NetEnt. Evolution Gaming has its studios in Riga where they broadcast the games live. The company uses high-quality cameras to make sure their clients get quality feeds. The cameras are positioned in different angles to allow the players to get different views of the table making the experience more realistic. By 2007, Evolution Gaming had won the hearts of thousands of players. Being popular saw them sign contracts to offer their services to many major casinos including Party Casino. Evolution Gaming games offer players a wide variety of games to choose from. They offer Blackjack, Baccarat and five variants of roulette. They are also the first game developers to create a live slot game: Mermaid’s Fortune. To every casino, they partner with they offer full-fledged casino studios, friendly skilled dealers, and chat features. Dealers from Evolution Gaming casinos aim to engage every player who comes to their tables. For instance, Blackjack has only seven seats. This means that only seven people can play at a time on a particular table. However, others are allowed to watch the game and bet behind the people playing. The dealers try to talk to the seven players and those betting on their backs as well. To assure their clients that their games are completely fair, the company has gone through the trouble of having each game audited individually. Their games are audited by TST and eCogra, and the reports availed to the players in every casino. To see the last month’s report, click on the seals at the bottom of the screens. Even though the provider offers casinos the necessary software to make live gaming possible, they do not control the house bonuses. Therefore, depending on the casino you are playing at, the bonuses offered by Evolution Gaming games will be different. For instance, at one casino, the house may offer to match new player’s deposits by 200% while another with match the deposits by 300%. However, there are instances when Evolution Gaming offers their bonuses. When the company offers a bonus, it applies to all games regardless of the casino. The company bonuses do not affect the house bonuses. Evolution Gaming software integrates well with other software. 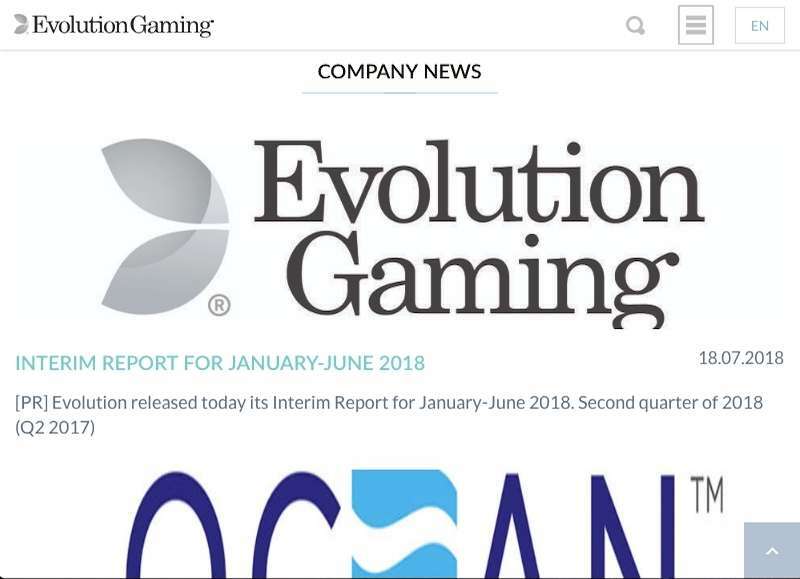 Since Evolution Gaming focuses on live gambling, the casinos they partner with often contract other companies to provide the software used for other virtual games. To ensure that their software integrates well with any other, Evolution Gaming programs theirs not to interfere with the casino’s banking system. The seamless integration allows players to deposit money and play on any Evolution Gaming casino. 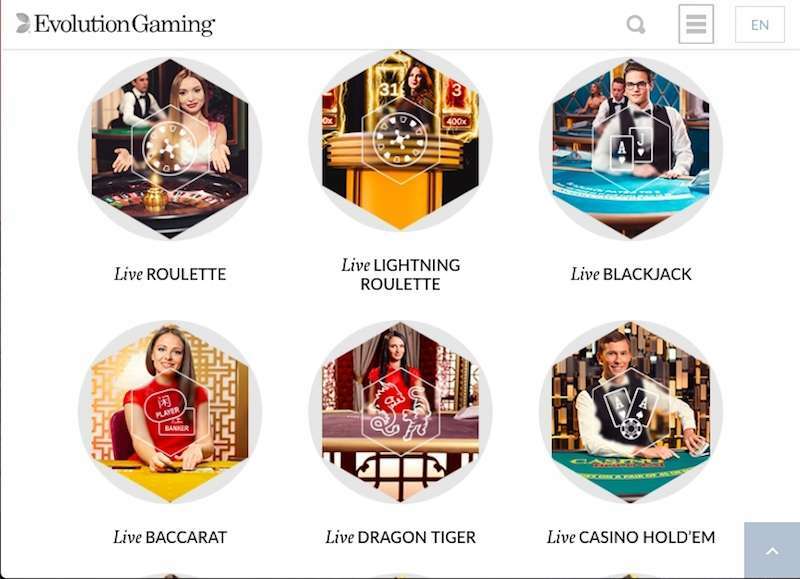 Since Evolution Gaming is focused on replicating offline experience on the online platform, they have created live versions of several casino games. The target audience influences the language the dealer uses. For instance, if the target audience is gamblers in Germany, the dealer will conduct the game in German. Using a language the target audience is conversant with has made Evolution Gaming casinos to be among the top casinos online. Live Blackjack has seven seats per table. The dealer creates a casual atmosphere by interacting with all players on the table during the game. However, the number of seats does not limit the number of people who can participate in a game. Additional players can bet behind the first 7 placing their bets alongside the players they are convinced have the highest chance of winning. Live Blackjack also features side bets and a Blackjack party option. 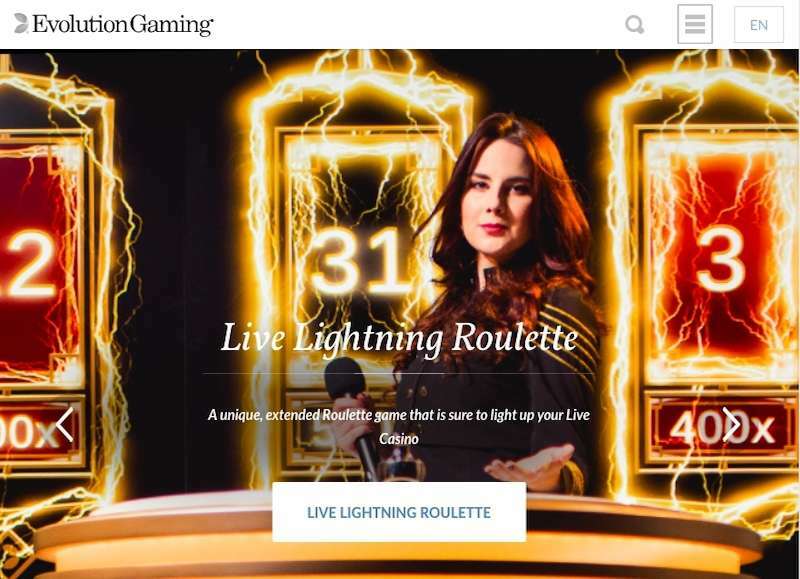 As a casino software provider, Evolution Gaming offers casinos different solutions for roulette depending on their clientele and the variation of roulette the house offers. However, there are standard features to the different versions of roulette they create. These features like the display of the numbers that have won, multiple camera views, live chat and interactive dealers are present in all variations created. Some of the options players are offered in Evolution Gaming’s Roulette are the Double Ball Roulette, Double Play Roulette, and Slingshot Auto Rolette. Double Ball Roulette option allows for two balls to be rolled at a go increasing player payout. Slingshot Auto Roulette allows for faster action. Even though it uses a regular wheel to generate results, the wheel is automated and can run for 24 hours a day. The Double Play Roulette is different from all the other variations. It allows online gamers and live gamers to participate in the same game at the same time. Evolution Gaming’s live Baccarat does a great job of recreating the atmosphere of suspense in physical casinos. The live game employs several cameras to help the players get multiple views making them feel like they are at the casino. Some variations add suspense to the game by slowly revealing the cards on which bettors have placed most of their money to achieve maximum drama. Other Evolution Gaming games include Casino Hold’Em which is the table variation of Texas Hold’Em. In this variant, the players play against the dealer instead of each other. They also offer the Three Card Poker, Caribbean poker, among other games. Reviews point to Evolution Gaming being one of the best casino software providers. It has done an honorable job in giving online gamers a feel of playing brick and mortar casinos. Players may argue that playing one of the live games the provider offer is better than playing at an actual casino. They do not have to go all the way to the casino to get the same experience. Gamers should take a look at reviews of games offered by Evolution Gaming to decide on a suitable live set to play.